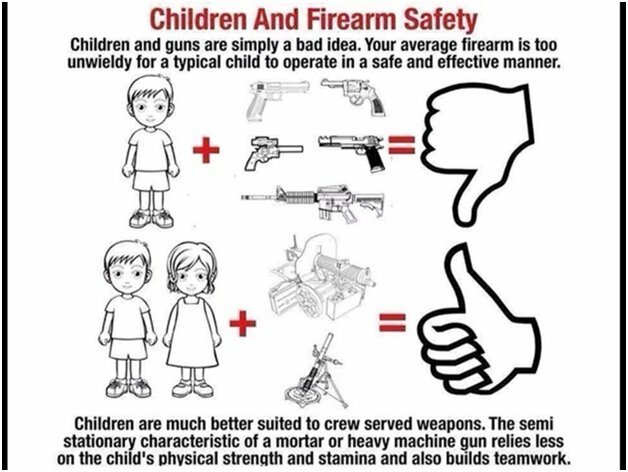 A much safer approach to kids and guns! Psycho41, hogdaddy, matthew03 and 21 others like this. There's a youtube video of a young child, early elementary age, if that, shooting an AR (as best I can recall, or something semi similar) on a range. It was placed inside a small wooden frame and kept the child from pointing the weapon in an unsafe direction. When seconds count, help is only 18+ minutes away! @gasmitty that made me laugh! Got me thinking about my own two sons when they were youngsters. They sure could have had some fun with a mortar or machine gun. They did have rockets. Everything went okay until one of them decided that he could build his own. We had lots of explosions on the launch pad and other whacky things. After a while the knowledge and expertise increased and they asked me to witness a launch. When the rocket went out of sight to who-knows-where I told them I thought that they were going to have to scale down their engine size. I'm surprised they weren't recruited by some third world country. G26Raven, airslot, riverrambler and 5 others like this. Old Man, did you ever try this one with your sons? msgt/ret, hogdaddy, riverrambler and 3 others like this. Individual weapons demand fine coordination detailed skills. Those crew served beasts are gross motor. Same reason elementary kids play kickball vs golf. G26Raven, sdprof and airslot like this. My youthful crew-served weapon was a pipe with crude sights and an assistant lighting bottle rockets at the back end. Wasted many a dirty Nazi with that bazooka. sdprof, BigJon10125, msgt/ret and 6 others like this. Pete63, BigJon10125, Gabill and 9 others like this. We used to remove ant hills by drilling into them and packing multiple M80s or cherry bombs down the hole. Light the fuse and run like the devil. We left a lot of craters around the neighborhood. Back then, it was great fun. Since there was always a few of us in on it, would you consider that "crew served"? G26Raven, msgt/ret, gasmitty and 4 others like this. When the farmer who leased the land behind us grew corn - about very 3 years - he chased crows away with M-80s. He'd tie a lengh of rope between corn stalks in adjacent rows, then stick the M-80 fuses into the braid of the rope every few inches. He'd light the rope and get it burning, then blow out the flame so it just smoldered. Every couple of minutes the smolder would read a fuse and an M-80 would detonate. There were probably 10 of these in the acreage behind my house, and the farmer would renew the setup daily for a couple of weeks until the corn was harvested. My brother and I were charitable, so in defense of our mother's nerves, we liberated about every third or fourth M-80. By the end of the corn harvest, we each had a shoebox full of M-80s... either of which would have leveled our house hed they ignited! msgt/ret, Gabill, RETSUPT99 and 3 others like this. I dunno. Those 81mm rounds are a bit heavy for a youngster to heft up to the muzzle. Hey, the Army let us play with them as teenagers. During TET I was the only one left on the mortar crew who had ever fired one. They gave me a free fire zone all around the compound and woke me up every hour all night long to fire into the tree lines where ever I wanted to. It was OJT with HE rounds. All went well until I finally found a combination of powder charge and elevation that I liked. So I set a few up and went back to sleep for an hour. When I dropped the next round - forgetting that I was in the humid delta of VN and that the heavy dew and cloth powder sacks don't make for a good combination, I launched one with a really weak sick sound about maybe 20 yards in front of the corner bunker, which was about 40-50 yards away from me. Luckily, no one was hurt and I still feel terrible thinking about what could have happened. I will say that every 4th of July I used to really miss those mortars. msgt/ret, Pete63, airslot and 1 others like this. I recall an incident involving bottle rockets, two young teen boys, and a passing WV State Police cruiser. Probably one of the reasons my dad kept me from getting drivers licence for so long. An imaginative, immature mind requires lots of supervision. Even then, things happen . . . 'nuff said. I witnessed an ARVN ammo dump go up one night. Fireworks shows have not impressed me since then. My thinking was not to 'child-proof' your guns, but to 'gun-proof' your children. 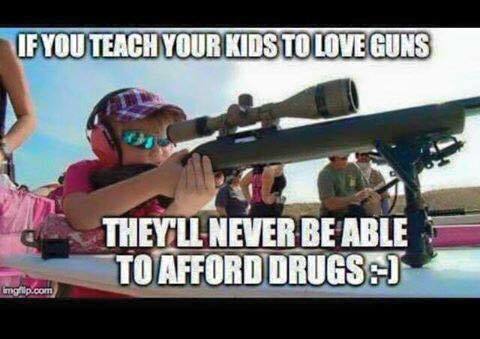 My kids never touched my firearms without my permission (now in their 40's, they have told me that). They were able to handle and shoot them, starting at a young age. Now my grandkids have had the same experiences and it has served them well. msgt/ret, BigJon10125, maxwell97 and 1 others like this. I agree children and guns are not the most perfect of combinations.